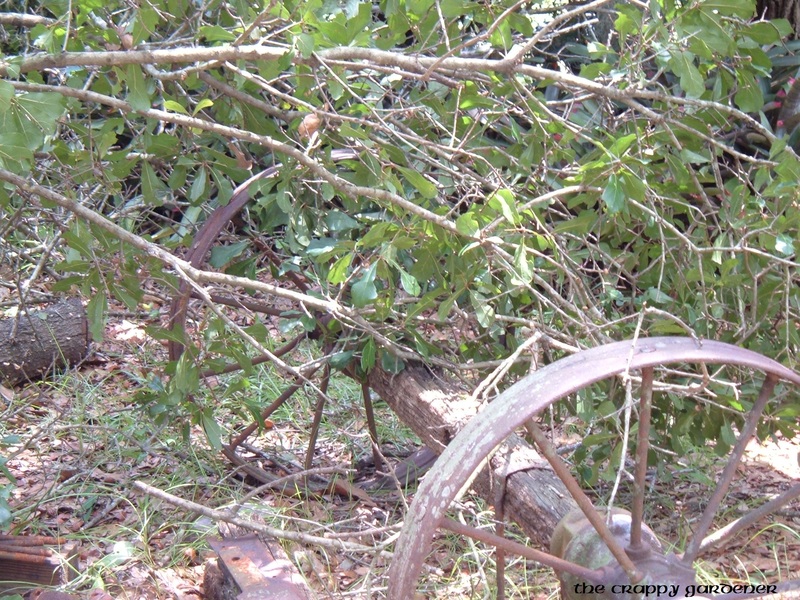 The Crappy Gardener | Adventures in life, FL gardening and a few recipes along the way! Adventures in life, FL gardening and a few recipes along the way! Remember why I said my roses wouldn’t grow? And I also said I couldn’t get a picture of her. I was just hanging out in the kitchen, all cooking and stuff, and I looked out the back window to see the awesome job BF did on the lawn last night (he mowed the jungle we had goin’ on out there) and THEN! 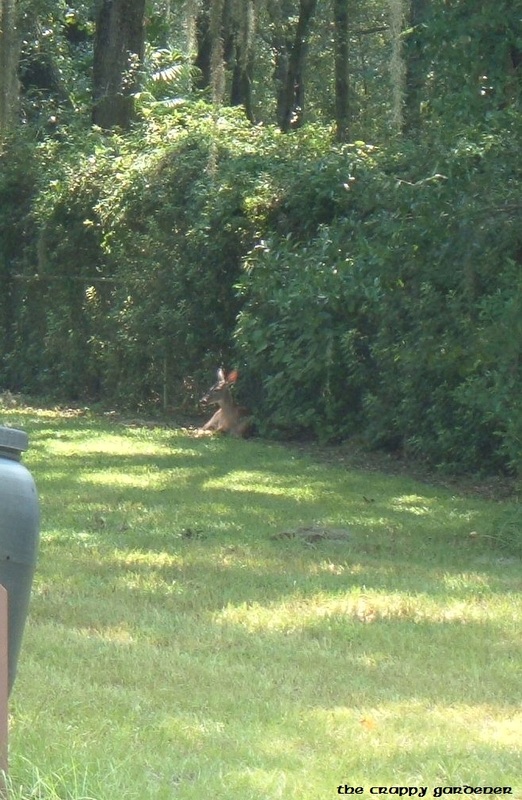 Lady Deer was lounging out back against the fence, under the big oaks and the azaleas. Butterflies fluttered lazily by, a dragonfly flitted past busy on his way to look for me so he could terrorize me by kamikaze diving himself into my glasses because they think it’s funny when I scream a little bit. Lady Deer (that’s her name) is so cute! And also brave because our Behind-Us-Neighbors are total a-holes and I’m not even going to allow myself to think of what they’d do to her. They’d probably do like me and accidentally on purpose throw out a perfectly good organic apple just in case she wanted to chill in the yard again. Yup. That sounds about right. She can totally have my roses, I like her better. Has made some interesting stuff grow in the yard. Incidentally, I finally figured out why my roses are having so much trouble growing, and I never, ever would have expected DEER munching on them! We live in a neighborhood with a fair amount of people. I mean, it’s pretty wooded and there’s a good amount of undeveloped woods in one area, but I would have thought for sure no deer would come hang out in our yard. She must have figured out we don’t have a dog anymore. We’re the only ones: literally every single yard on our road has at least one dog. It’s a lady deer most of the time (sometimes she brings her boyfriend), and she’s sneaky so I haven’t managed to get a picture of her yet. Last night I looked out the window of the back door and happened to catch a glimpse of her; sneaky lil thing was snacking on my struggling roses! Oh well. She’s a cutie so it’s okay. tags: fallen tree, oak tree, suicidal tree, timber! There really isn’t a good reason for my being so neglectful of the ol’ blog really, it’s just been raining every single day since forever – it seems that way to me – and so not much has been going on save the drowning of most of my plants and the exponential increase of the mosquito population. Half of the biggest tree in our yard fell, so that sucked. BF supposes that it got waterlogged with all the rain and just couldn’t handle the weight anymore. 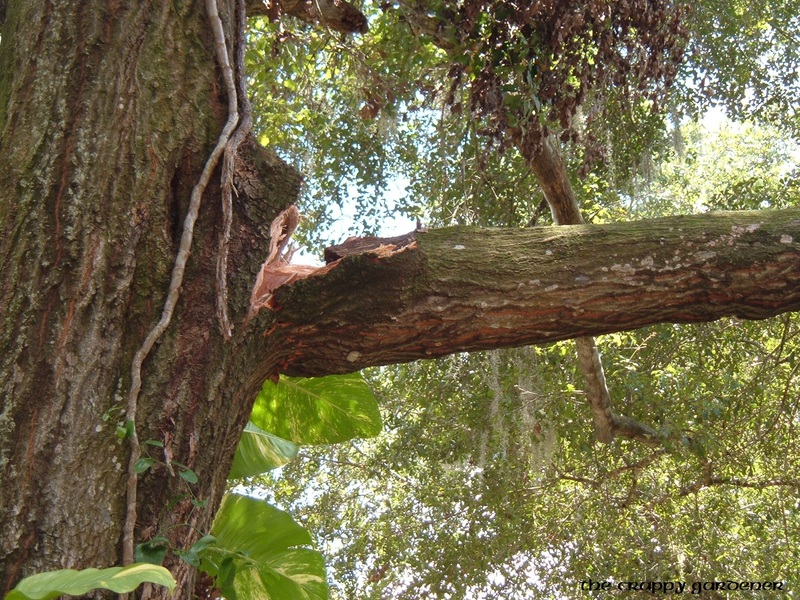 Also when it came down we saw that there was some kindof infection or something in an exposed part of the limb. Anyway we’re pretty bummed since the tree was lovely and huge and previously pretty healthy. But! It missed hitting anything important so that’s pretty wonderful. BF spent some quality time with his chainsaw and the bugs to make it a tad bit more manageable. Know what this means, friends?? This means that I will probably be able to set aside a piece of wood the perfect size for mushroom cultivation and also BF and I can probably figure out something cool to do with the leftover wood. He says that he’ll have to use the truck to move it though since it’s so huge. I’m hoping his Chainsaw Wizard skills are such that he can cut a slab suitable for making a sweet table. You can see how nearly it missed what we think is the original axle to a very old wagon that I’m totally in love with and that BF is restoring. SO happy it was spared. I supposed it was bound to come down sooner or later, it was such an enormous branch. They need a good cleaning. And also I need to get them inside, because for real: I think they’re aged enough. So you know how BF has been really, super nice to me lately (not that he isn’t always, but he’s been surprising me with all sorts of awesomeness for the past couple days)? Yesterday when I was laying down because of feeling like junk, he told me he needed to go back over to Dade City to go “Pick something up for Pop,” and he kept trying to get me to come out with him but I didn’t want to. So then he came out a little bit later and kept asking me so then I started thinking I should go with him because with my luck a bizarre set of events would occur all culminating in some sort of ‘painted into a corner’ situation and he’d get screwed or something. Because that’s what happens when I don’t listen to my intuition. The Handsome and Wonderful BF kept saying we should go to that same antiques store to check and see if the shop owner had the harp that went with the dresser to hold up the crazy heavy mirror. So I said alright because he really seemed to want to. Like, a lot. 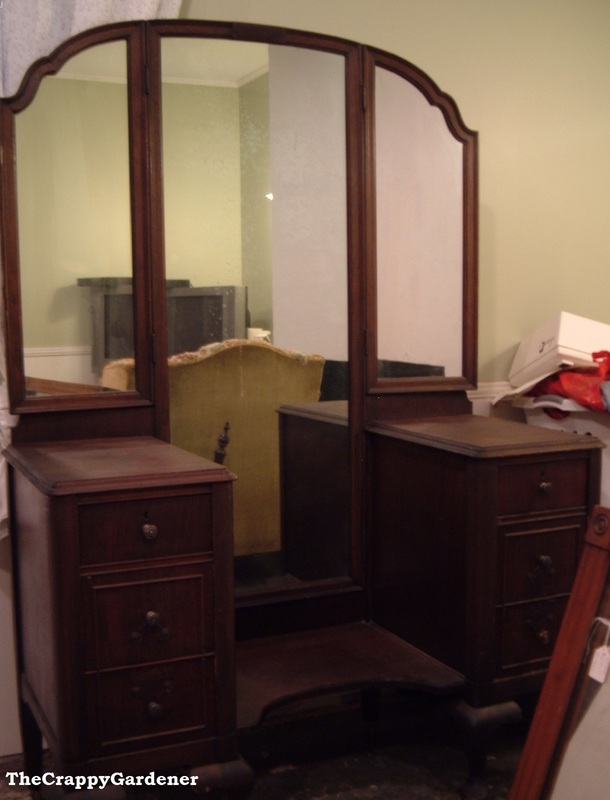 That sweet and thoughtful and super awesome BF got the matching vanity thing (this one was a deal as well, but not nearly as much so as the other stuff we ended up with) the day before but hadn’t told me because he wanted it to be a surprise! He is just so thoughtful. You’re gonna have to excuse the shredded chair upholstery (thanks, furbabies! Rrrrr) and the fact that it’s so very obvious that we haven’t finished this room yet. I can’t figure out what the shelf was used for though…BF says maybe people sat on it to put their shoes on or something. I say…I don’t know but it’s cool as heck and I even love the spots on the mirror. I’m going to replace the two pulls at the top with little glass knobs because one of the bottom ones is missing and was replaced with an ugly-ish one. By the way, we found the missing pull from the dresser. AND we found the harp for the crazy heavy dresser mirror! I am so loving this bedroom set. So pretty! It must be my week or something. So I’ve got some sort of bug that’s been leaving me feeling like absolute crap for the past week. At first it was allergies bothering me and now I’m just super sick. That’s why the intermittent posts. Cold medicine always makes me feel so much worse so I usually just drink a ton of fluids, get as much sleep as I can, and eat a lot of fruit. My method usually makes it better. Anyway, we went all the way to Dade City this past weekend to check out a liquidation sale put on by one of our favorite antique vendors who was in the middle of moving to a smaller building, and you’ll never guess what we ended up with. Pictures will be following in the next few days as I get the stuff organized and straightened out, right now I’m just super excited but also drained. So I’m compromising by telling you about it. We went Saturday and came home with an old peach crate with the label still on it and in perfect condition (which is fitting since, you know, I love peaches! ), which we filled with old canning jars WITH GLASS LIDS which are freaking awesome and which I love so very much. After that purchase, I went to go sit in the truck since it was super hot and you know me with heat, right? Can’t handle it. The Wonderful and Handsome BF comes out pulling a cart piled with old wooden doors, wood framed windows and two mirrors. An original and blue Ball canning jar with a zinc lid and ceramic insert! As completely awesome as that was (and yes, I really am that excited about one blue canning jar -it’s super pretty! ), he came home yesterday with several even more exciting things! I didn’t even know that was possible! I was all sick and sleeping and feeling pretty funky, right? And he’d gone back up there yesterday without me – because of the aforementioned general yuckiness and also to go pick something up relating to Man Stuff – and so he called me and said he was bringing home two plates I saw Saturday that we didn’t get because I thought we’d gotten enough stuff. They’re sweet, and smallish, and have fairy tale images painted on them. One’s based on Cinderella and the other has a scene from The Nutcracker Suite. But that’s not even all of it! I’d also seen this amazing bed while we were there and I asked the shop owner about it with no intention of ever being able to afford it. She said it was from the forties and showed me the rest of it, but then we got sidetracked by I don’t remember what and it didn’t matter anyway since I knew I’d never buy it. Well, the BF (have I mentioned how Handsome and Wonderful he is? He reads my blog, you know) told me on his way home yesterday that he also got the bed. And so then I was all excited and felt bad for grouching at him after he told me all the stuff that was sold that had previously been way out of our price range but went for like $10 to people other than me (he always likes to tell me when he finds out that something sold for super cheap, even though he knows I really loved whatever it was and can’t have it now). But seriously, that’s not even all. He surprised me even more by bringing home the MATCHING DRESSER WITH MIRROR! It’s missing one drawer pull and the thingies that hold up the mirror, but that’s okay because I’m going to replace the drawer pulls with little glass ones and we might luck into something similar to the original thingies for the mirror and even if we never do I don’t care because it is just so awesome! It’s also okay because what a sweet surprise, right? I wasn’t expecting it in the least, and he’d even pulled an all-nighter Thursday to come with me and his mom to see Harry Potter and then fly out of state for work. He’s such a sweetie. If our oven was working I’d make him cookies. It all cost less than what we’d spend if we went for fast food. I was initially disturbed to see the large, furry sac you hacked up in our yard, but I quickly realized it meant that you were still around and apparently eating well. Since the BF mowed the lawn yesterday and I found it early this morning, you must have been sitting at your favorite tree last night. I hope you will forgive me for finding your eating habits unpleasant, as I really do love having you here in our yard. Please feel free to keep the rodent population down however you see fit, and although I’d prefer to cease finding furry sacs of digested animal fur, if it means you still call our trees home, I’m happy to come across them. And I’d be happy, right? Because it’d mean our Barred Owl was still hanging around and finding tasty morsels to eat. As long as I don’t concentrate on what they eat and the fact that I’m sure the cute furry population has gone down around here, I’m really really happy to see any sign of our owlie neighbors. 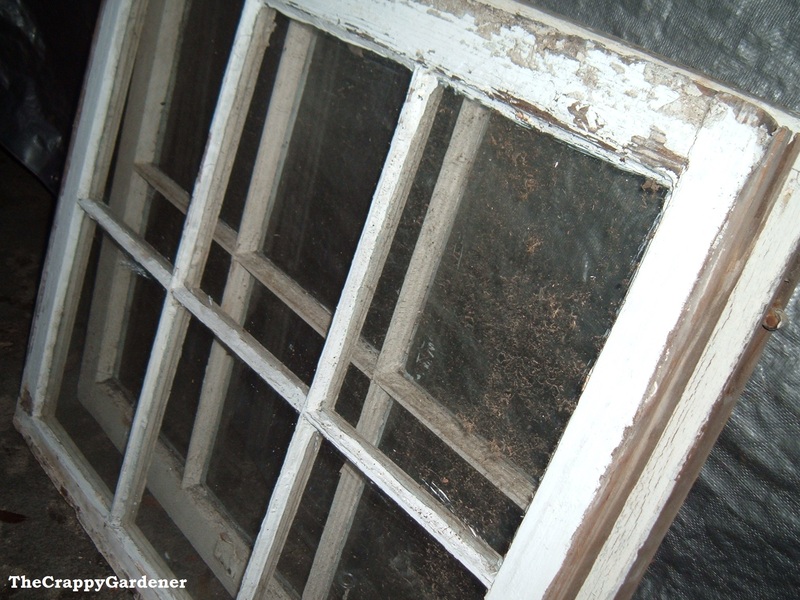 Now that the windows are shut because it’s just too hot outside, I don’t hear them calling to one another anymore. It’s hard to sleep without that sound actually. But here’s the thing: that’s not an owl ‘pellet’. 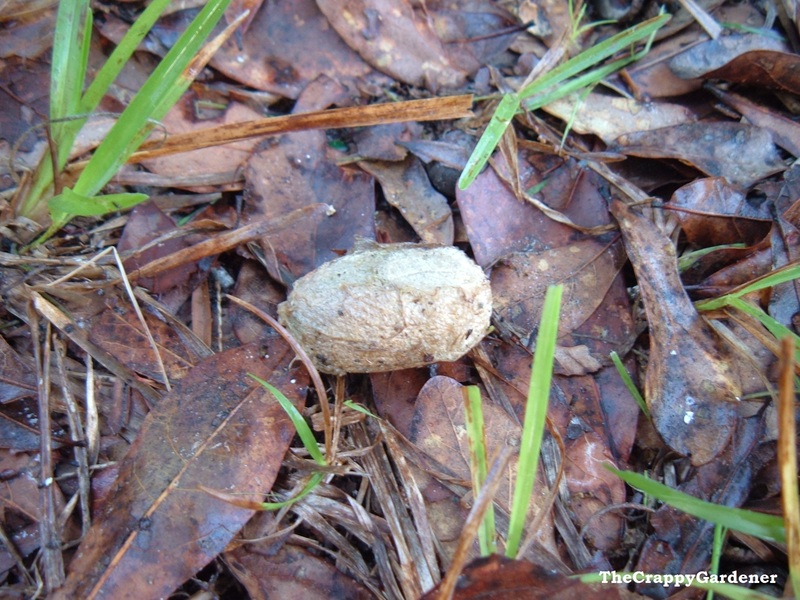 It’s a discarded moth cocoon. So now I’m just mad. That thing is freakin’ HUGE. It’s like the size of my thumb. You know what that means?!?!?!?! You know what ginormous caterpillars EAT?!?!?!?! Stinking FL bugs man. I’m telling you. They are absolutely conspiring to ruin my gardening. Earlier, a grasshopper went for the two ‘Peace’ rosebuds that were going to regale me with their gorgeousness. Then it stripped my mulberry tree. And now I’m going to have enormous caterpillars eating every single planty thing I have in the yard. At least we’ve been getting a ton of rain lately. Things were looking pretty brown and crispy there for a bit. Everyone affected by the rash of devastating storms that have hit this country. My thoughts and prayers are with you all. ©TheCrappyGardener 2010-2011 Text and pictures property of The Crappy Gardener. Thank you for not using my content.